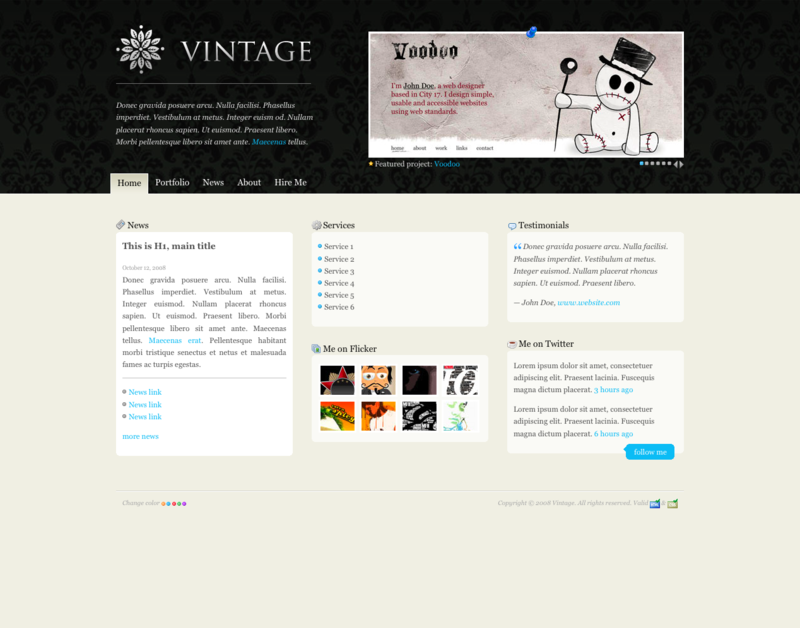 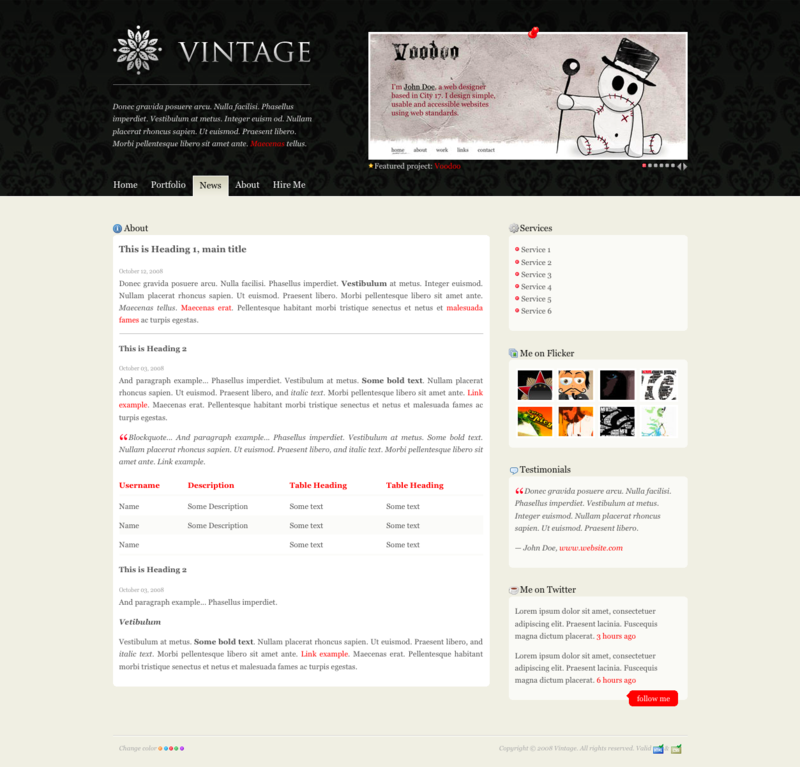 Vintage is modern website template for portfolio or blog. 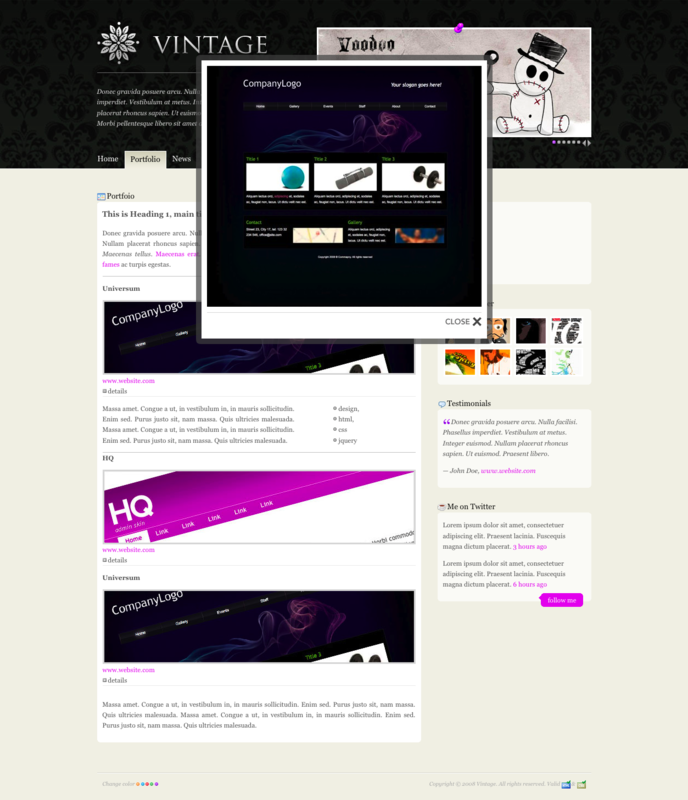 Equipped with jquery plugins, for better usability and style. 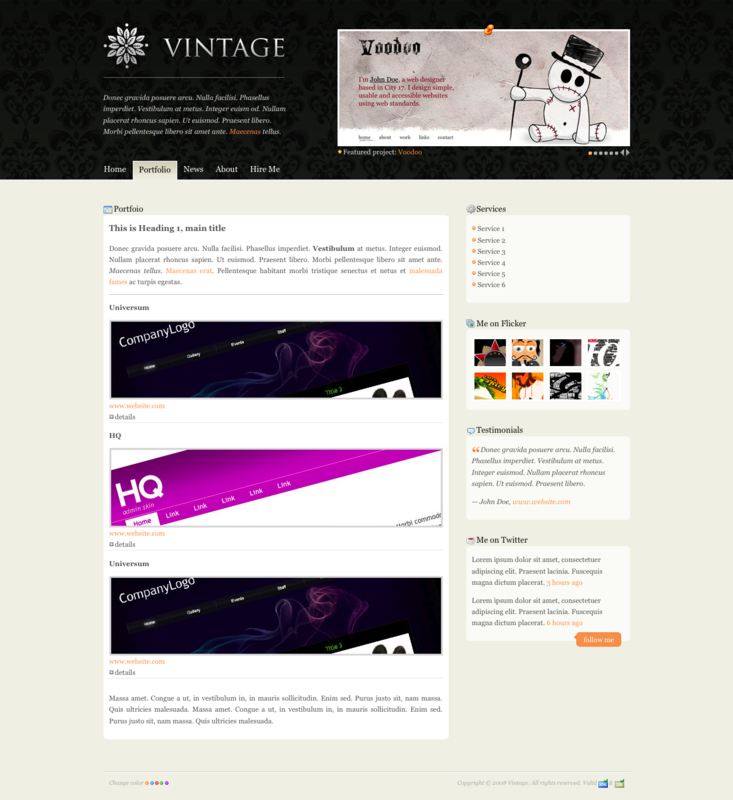 Also there are 5 color styles (+ default gray).